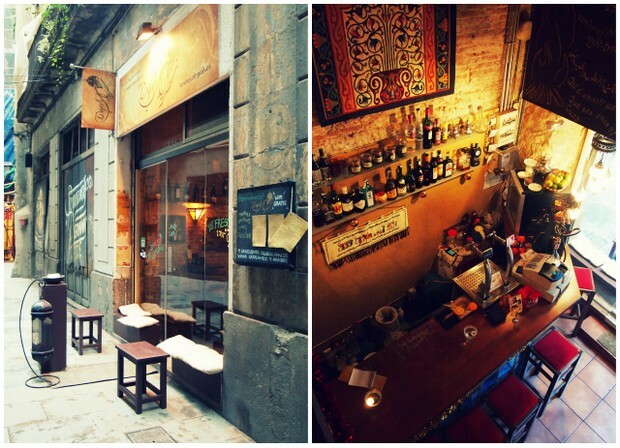 Ziryab is located in the centre of the Barri Gotic in an atmospheric narrow pedestrianised street - you can follow the candles at night or look out for the lantern if you are going for a Ziryab brunch. This is home to the inquisitve traveller looking for something a little bit different, innovative & exciting. 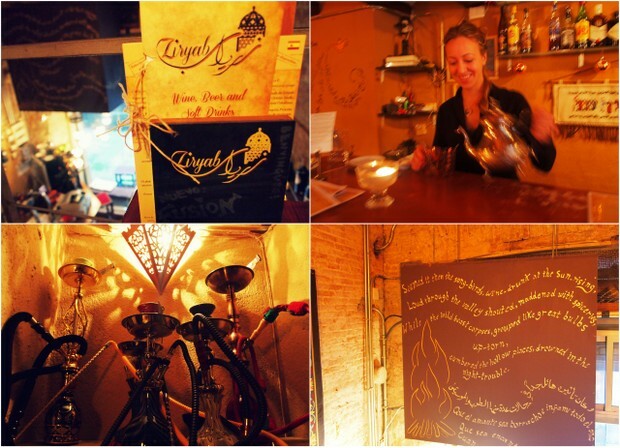 Managed by the delightful Kate, the restaurant offers mouth watering dishes, tapas fusing the spicy flavours from the Arab traditional "mezze" world mixed with the local Catalunya cuisine with a wide selection of wines - our favourite was the surprisingly refreshing herby Ksara from Lebanon. Ziryab was a talented musician born in Baghdad in the 8th Century who suddenly had to flee his hometown because his musical talents had surpassed those of his teacher, a punishable act in that time and place. So he partook a long journey in 833 to reach Cordoba, the heart of Islamic Spain. He began work at the Abbasid Caliph’s Court as a special royal advisor. But Ziryab was no ordinary man. Not only could he play exquisite music (whence his nickname Ziryab, or “Blackbird”) and brought creative new musical styles and instruments to Andalucia, but he was also extremely learned, and knew about geology and fashion, about chemistry and astronomy. But most of all, he brought fantastic new culinary flavours to Spain and revolutionised the local cuisine of the time, provoking explosive unique culinary sensations. 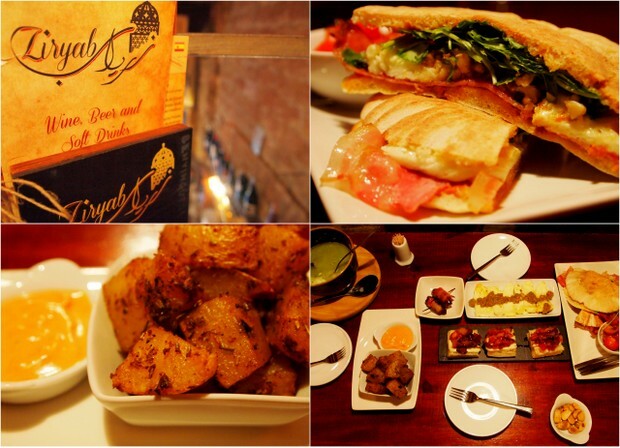 You could perhaps say that Ziryab had created a new and exciting crossroads, where Tapas was infused with Mezze.